It’s week 10 of a flu season that may only be half over, and a wave of influenza across the entire United States has led to an alarmingly high number of sick people. Last week, 7.1% of all outpatient visits were for what’s classified as influenzalike illness (ILI), said Anne Schuchat, acting director of the U.S. Centers for Disease Control and Prevention (CDC) in Atlanta in a telephone press conference this morning. That was a jump of 0.5% from the preceding week, indicating that this year’s flu may not have peaked yet. CDC has linked the high number of cases to the spread of an influenza variant known as Type A, subtype H3N2, which is both particularly virulent and hard to stop with the flu vaccine. A Type A subtype known as H1N1 also is circulating widely, as is a Type B virus. Flu vaccines contain up to four different subtypes of the virus, and it’s long been known that their effectiveness against H3N2 is particularly low, only protecting people from disease about one-third of the time. Part of the problem is that the vaccine is manufactured by growing flu viruses in chicken eggs, and when H3N2 from humans adapts to chicken cells, it mutates. These changes, in turn, ultimately weaken the protection given by the vaccine because of genetic mismatches between the vaccine virus and the circulating subtype (see this story). This week, the percentage of U.S.outpatient visits for influenzalike illness reached the third highest level in the past 15 years. Australia, which already went through a flu season with an H3N2 variant similar to the one now in the United States, found that the vaccine was only 10% effective against that subtype. Last week, a small study that looked at interim data from this flu season in Canada pegged the H3N2 effectiveness at 17%. Schuchat said CDC is working on its own interim analysis of vaccine effectiveness for this flu season, but she urged people to get a flu shot regardless, as it can reduce the severity of illness even when it fails to prevent disease. 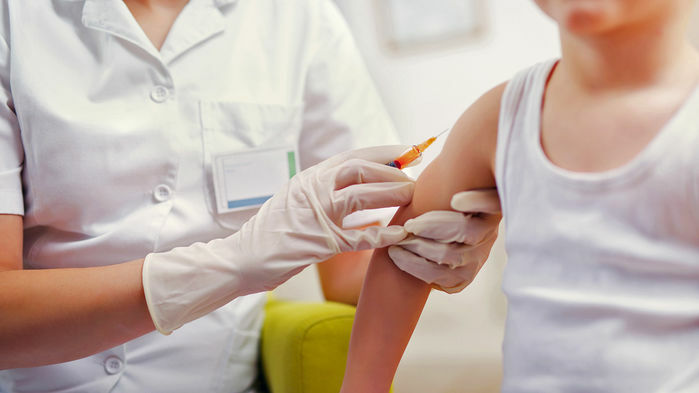 Underscoring the importance of vaccination, Schuchat noted that 53 children have died of flu this season, and only 20% of those children had received the vaccine. “This season is a sober reminder of why flu is one of the biggest public health challenges,” Schuchat said. The last time outpatient visits for ILI exceeded last week’s percentage was in 2009–10, when a novel “pandemic” H1N1 subtype drove ILI visits to a peak of 7.7%. The last nonpandemic season that had a higher peak was 2003–04, when H3N2 also spread and visits reached 7.6%. As before, this year people over 65 years old are the most likely to go to hospital. Schuchat noted that flu seasons sometimes last much less than 20 weeks, and the spread may already be abating on the West Coast. “Things could level out and we might not have as bad a year as 2014–15, but as of this week it was pretty bad news,” she said.